Whimsy by Shellye: I've Scored! 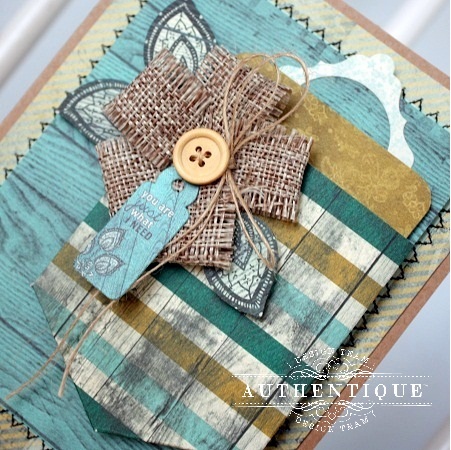 Authentique Paper and Scor-Pal are teaming up this week to bring you tons of inspiration! 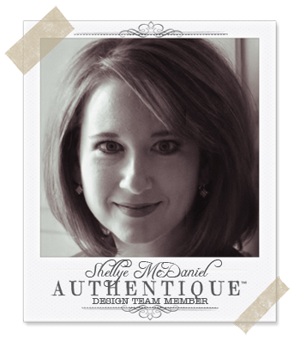 After you check out the projects on the Authentique Paper blog, be sure to head on over to the Scor-Pal blog to find out what the talented members of their Design Team have in store for you today! Scor-Pal and any Authentique Papers. On occasion, I like to make cards larger than the standard A2 (4.25" X 5.5") size. 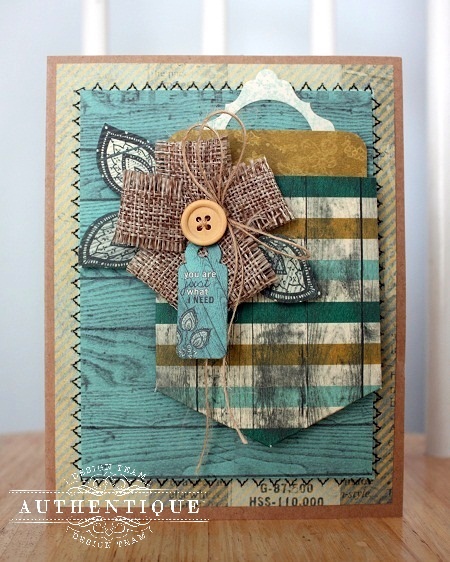 And on occasion I like to emboss the actual card and then layer on embellishments or a small journal card. Because most embossing folders are designed for the A2 size, it leaves the larger A7 (5" X 7") cards out of the mix. But I have a fun alternative for the bigger guys! To create the grid, all you will need is the Scor-Pal, scoring tool and plain card. Open the card flat (you will only score the front). Score at the 1/2" marks both vertically and horizontally. It maybe necessary to make two passes with the scoring tool for thicker cardstock. I decorated the front with a die-cut star and then made a banner with one of the Natural sentiment stickers and two Maya Road star stick pins. I think diagonally embossed lines would look really cool too! First, cut paper for pocket to 3.5" X 3.5"
The point: I have found that the easiest way to get the sides even is to gently fold the paper in half (not making a crease) so that the sides meet. Cut the paper at an angle. Place the pocket onto the Scor-Pal; score the two sides and bottom 1/4" from outer edge. Fold in on all of the scored lines. Cut notches where the score lines intersect. 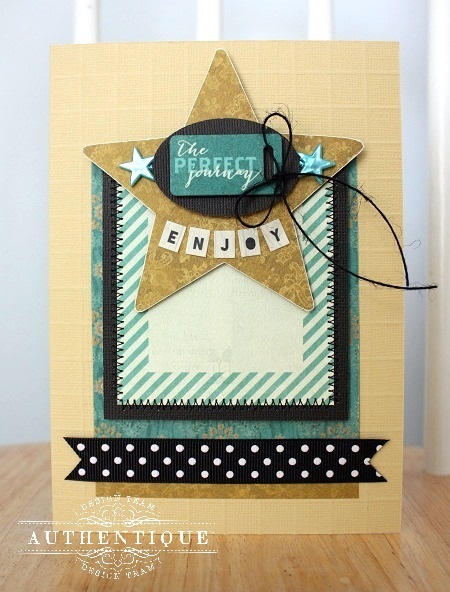 Apply 1/8" Scor-Tape to the folds and then attach to the front of the card. I cut a tag from one of the patterned papers so that it was just a bit smaller than the pocket size. You could also tuck in a gift card or movie tickets. And one of my favorite things about Scor-Tape is that you can apply a strip over machine-stitched areas (before attaching to card-front) and it still holds together perfectly; no worries about your card coming apart with Scor-Tape! You did indeed Score!! These projects are awesome - love the great photos that accompany your how-to's!! Both cards are fantastic - just wanted to let you know!! !